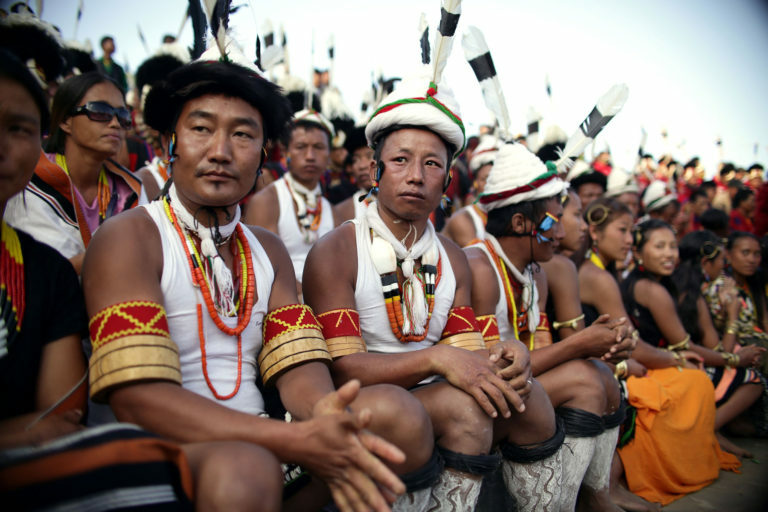 Tribes from India's North Eastern state of Nagaland. Photo courtesy of Souvid Datta. Watch the third and fourth episodes of Tuning 2 You: Lost Musicians of India in the early hours of this Friday morning on Channel 4! This six-part series, exploring and celebrating modern India’s rich folk music heritage, is a collaborative project between Soumik Datta Arts, Bagri Foundation, Rumi Foundation and Weavers Studio. Brothers Sarod virtuoso, Soumik Datta and award-winning photo journalist Souvid Datta embark on a vivid and panoramic journey through a raw, undiluted India, spanning 6 states. From 2:55am, embark on a journey with Souvid and Soumik from North to South India, from Nagaland to Goa! In the first episode, the Naga tribe teach Soumik about their mysterious customs, including their chicken dances and head-hunting traditions, which are all part of a unique identity that’s on the brink of extinction. The Nagas explain how they want to both preserve their regional identity and be part of the national map of India. At 3.25am, travel with the brothers to the former Portuguese colony of Goa as they meet an ambitious young fado singer and a violinist. Soumik also explores pre-colonial ghumat arti music and the unique Portuguese/Goan fusion called mando. The episodes will be available to watch here afterwards and on the 4OD app. Teasers for the series can be found on our youtube playlist here. Tuning 2 You, presented by the Bagri Foundation and Soumik Datta Arts, explores and celebrates modern India’s rich folk music heritage.